As I said in my last post, there are creepy books and there are scary books. Scary books, to me, are the ones with impossible but realistic situations. They are heavy with emotions and characters whose decisions you read with equal parts trepidation (“I can’t believe they did this!”) and guilt (“I am so glad they did this!”). Creepy books are the ones that I tend to reach for this time of year. On the scale of horror, creepy is what I find works for me. The element of horror is present in these books, but then so is fantasy, as is some form of social commentary (however subtle and/or unintended), and most importantly, so is hope. Anya’s Ghost by Vera Brosgol. This is a ghost story that is also about friendship. And guess what? It’s the friendship part that’s scary. 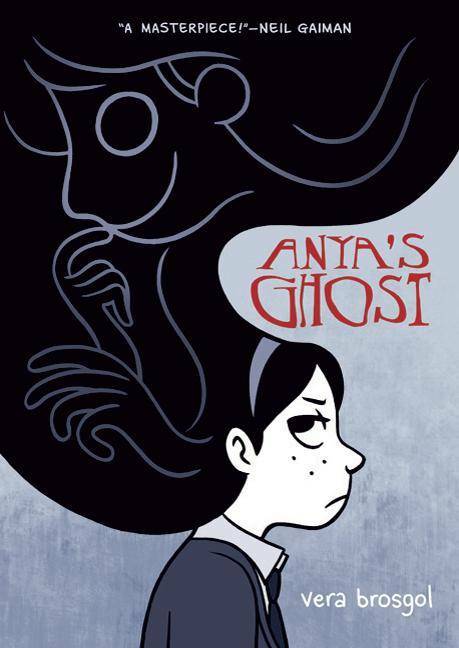 Anya’s Ghost is an exploration of how time is no measure of healing, how any kind of relationship can take toxic turns, and how sometimes it is better to let go. Plus, the art is utterly charming! 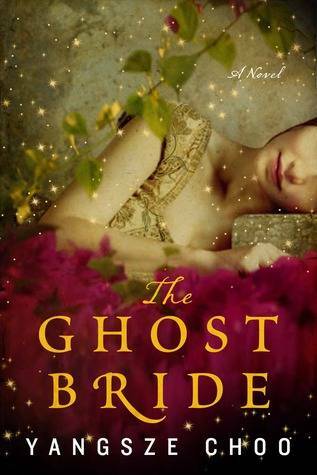 The Ghost Bride by Yangsze Choo. This is another fantasy novel that borders on horror. The thing that creeps me out the most is the blurring of the line between dreams and reality. Sleep is a means of reprieve for me, so to imagine that a dead man could affect Li Lan’s life through her dreams is a new kind of hell. Choo does a fantastic job of weaving together history, religious beliefs, superstitions, horror, and romance. If you get the chance, I highly recommend the audiobook that Choo herself reads. 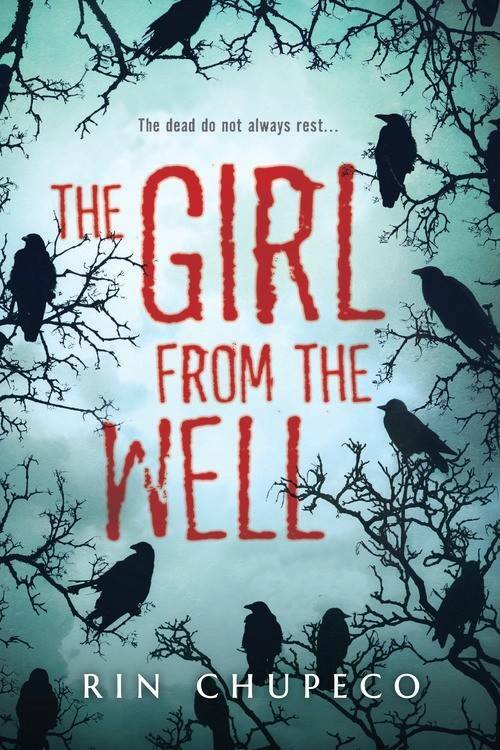 The Girl from the Well by Rin Chupeco. Of all the books on my creepy list, this is the one that is probably the most terrifying, especially since this is kind of the story of The Grudge told from the spirit’s perspective. However, when novels are narrated from the monster’s POV, we begin to ask some interesting questions: are monsters born evil, or are they made evil? Is it their monstrosity that makes them evil, or their lack of humanity? What of monsters with a human face? If you can stand to read a bit of body horror, this book is kind of amazing. The sequel came out recently and I just can’t wait to read it! 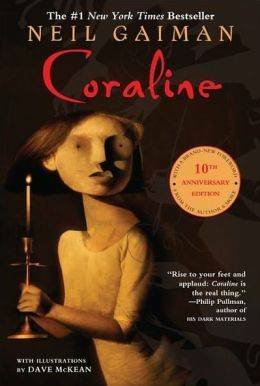 Coraline by Neil Gaiman, illustrated by Dave McKean. There is no writer-illustrator duo that excites me more. The story refers to Gaiman’s childhood fear that one day he would leave for school and come back to find strangers who look exactly like his parents inhabiting their home. If that isn’t creepy enough for you, wait till you see McKean’s wicked illustrations. 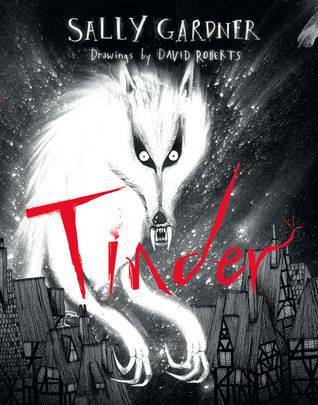 Tinder by Sally Gardner, illustrated by David Roberts: Okay, maybe I lied. Maybe if Gardner and Roberts teamed up to adapt more fairytales, Gaiman and McKean would face some serious competition. I knew very little about Gardner and Roberts and the Hans Christian Anderson story that Tinder is based on, but the cover was much too alluring. I can now confirm that the words are similarly hypnotic. Wonderfully written, fantastically illustrated, Tinder is one of those stories that you know is going to end badly but you just can’t look away. 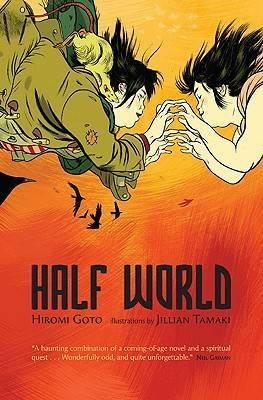 Half World by Hiromi Goto, illustrated by Jillian Tamaki. This book is unlike any other fantasy I’ve ever read. Every time I flip through it, I find something new to think about— which is saying something given that I pored over this novel for two years for my thesis. The thing I have always found most interesting about Half World though, is that despite the majority of the novel taking place in a Bosch-type hellscape, the people that the protagonist meets there could just as easily have been inhabiting our world. One of my all-time favourites. 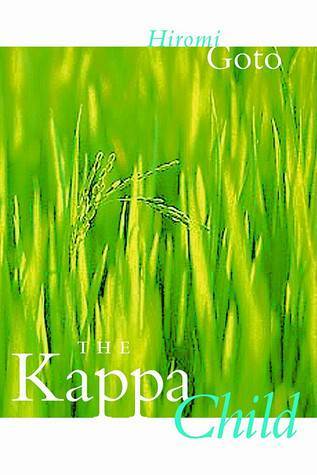 The Kappa Child by Hiromi Goto. That’s right, Goto is my queen and she gets to be on this list twice. Partly inspired by Japanese folklore about kappas and partly referring to Laura Ingall Wilder’s books, this is the story of a family of Japanese-Canadian family, their tenuous bonds with each other, their history, their future, and the land they now call home. It is also about our protagonist who may or may not be pregnant with a kappa’s child, but really the creepy part is about not being able to tell the difference between hope, fear, and illusion. And I know the cover doesn’t look like much on screen, but when the light hits it just right, you catch a glimpse of a translucent kappa lurking in the green! So, what are your go-to Halloween reads? What are you looking forward to reading?